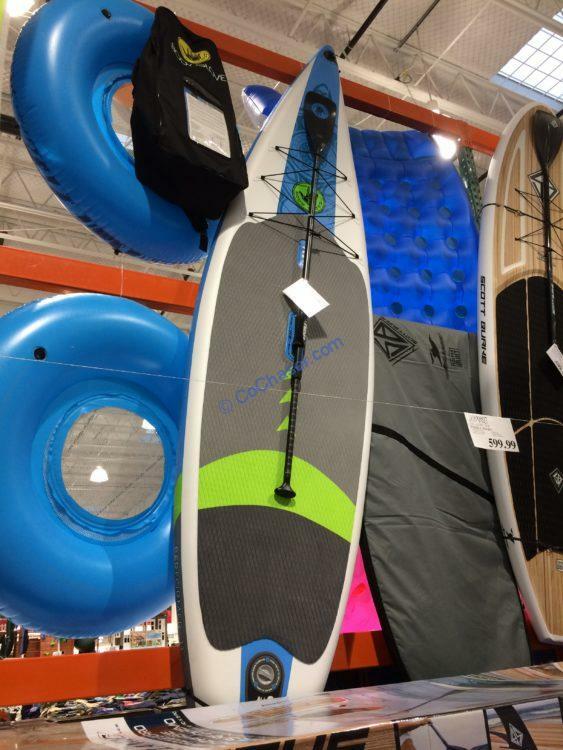 Offering a large and stable platform, this Body Glove Performer 11″ Inflatable Paddle Board is up for whatever your next SUP adventure may be—family fun, yoga, fitness or fishing. It is designed for incredible stability and durability while also exhibiting an industry leading performance shape from paddling professional Luke Hopkins. He designed this board to be the ultimate board for family fun, fitness, and on water adventures. Supports up to 320 Lbs. The item includes paddle, pump, leash, dry bag, storage backpack and repair kit.